60 former leaders in the military and national security community sent a letter today urging President Trump not to subject the government’s own authoritative climate reports to an apparently partisan review, The Washington Post reports. The letter references the Post’s recent report that the National Security Council may establish a panel of federal scientists to “reassess the government’s analysis of climate science and counter conclusions that the continued burning of fossil fuels is harming the planet.” If this panel is created, it would represent the White House’s latest effort to sow doubt about the scientific consensus around climate change. Scientific research has repeatedly shown that climate change is driven by fossil fuel emissions, and is already making life difficult for Americans across the US. “A committee designed to undermine the many years of work they have done will weaken our ability to respond to real threats, putting American lives at risk,” reads the letter. 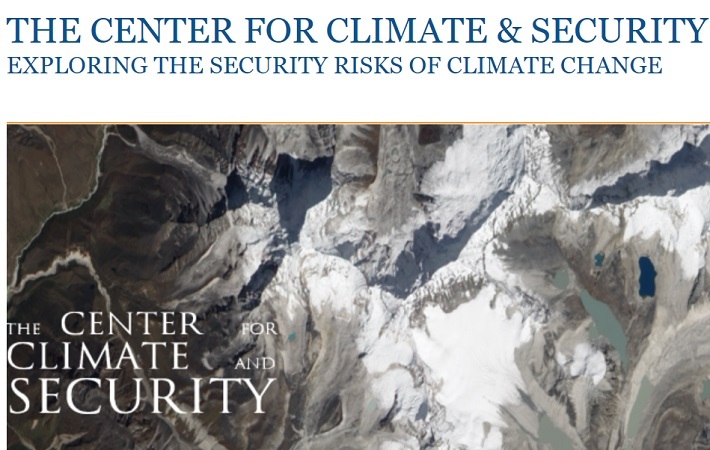 “Imposing a political test on reports issued by the science agencies, and forcing a blind spot onto the national security assessments that depend on them, will erode our national security,” says the letter, which was published by the Center for Climate and Security and the American Security Project. It’s not just the DoD that’s sounding the alarm on climate change: it features prominently in the Director of National Intelligence’s recent Worldwide Threat Assessment of the US Intelligence Community. The paper warns of extreme weather events, competition over a thawing Arctic, and increased water and food insecurity. “Global environmental and ecological degradation, as well as climate change, are likely to fuel competition for resources, economic distress, and social discontent through 2019 and beyond,” the report says. It’s not clear when, or if, this National Security Council panel will ever wind up forming. But we’ve seen the White House try to obfuscate the facts of climate change before. Last November, White House spokesperson Sarah Sanders tried to claim that a comprehensive climate report by more than 300 scientists was “not data driven” and “not based in facts.” And last May, the Environmental Protection Agency threatened to institute a “science transparency rule” that would have effectively barred certain types of health information from being considered during policy-making.